Have you tried creating a Datasheet view in Sharepoint then suddenly found out that you can’t edit it even it says “View data in an editable spreadsheet format that is convenient for bulk editing and quick customization”? 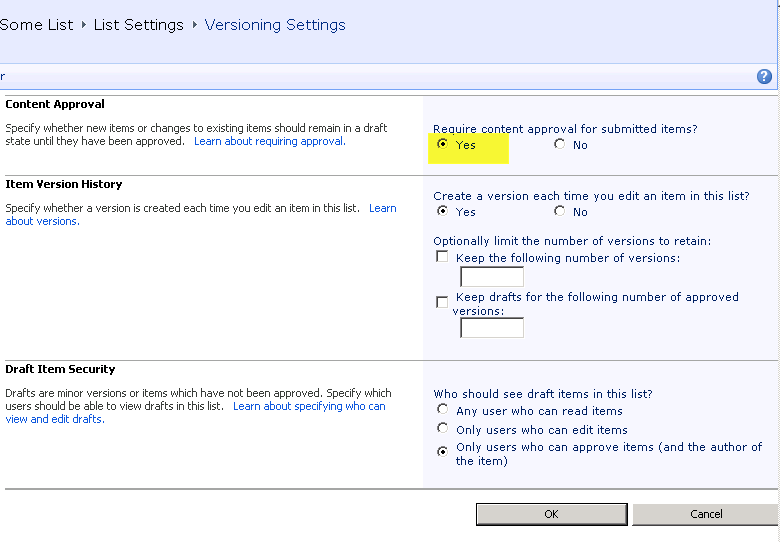 Well don’t worry you are not crazy it really works like that when Content Approval turned on in the list. Though the solution given by those sites work, it will turn of the functionality that you placed in the first place “the Content Approval”. Now what I will show you is a solution that will work even with Content Approval turned on as the current solutions out there is not good enough specially when you really have a reason to turn on the Content Approval and want a bulk editing mode, I am not sure though whether this is the best practice but it works. You don’t need programming in this solution and its simple. Lets start. 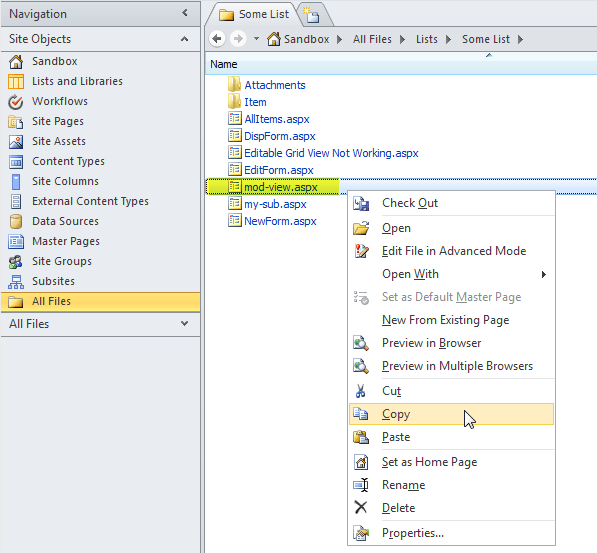 What you need is the Sharepoint Designer, you can download it here http://sharepoint.microsoft.com/en-us/product/related-technologies/pages/sharepoint-designer.aspx. Once downloaded open the site where the list you want to create a view on is located. 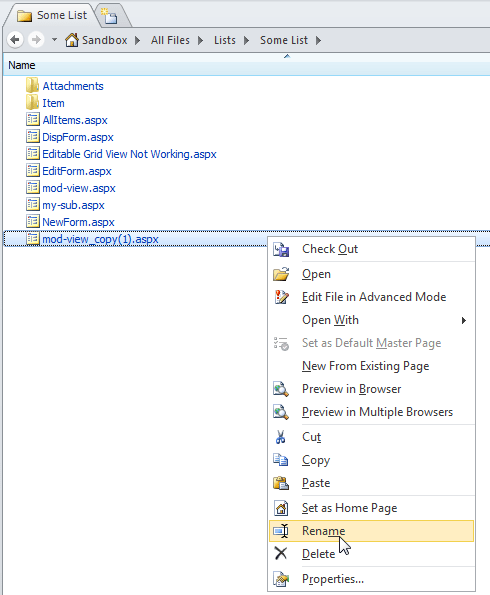 Once in the site structure, go to All Files -> List -> Your List (in our example it is called “Some List”) -> then you will see an aspx file called mod-view.aspx. Copy, Paste and Rename it to what you want. That file is used as a template for Approve/reject items if you are wondering. 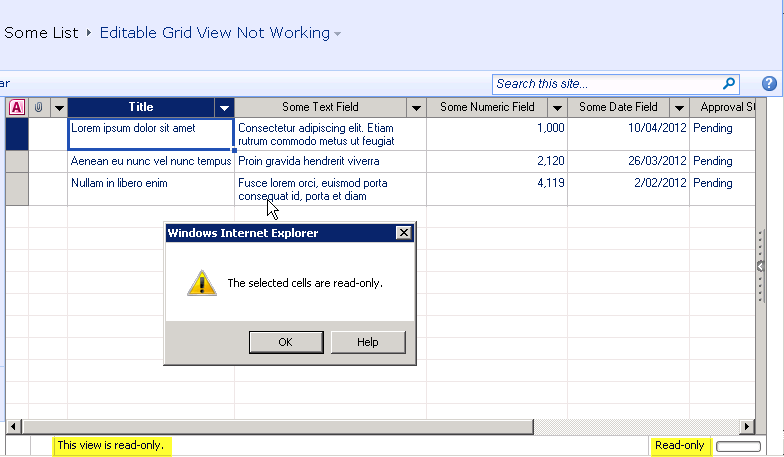 Rename the view, it will have the Name property of the Old one, in this example we named it as “Editable Grid View Working” similar to its aspx filename. Then choose any setting that you want. 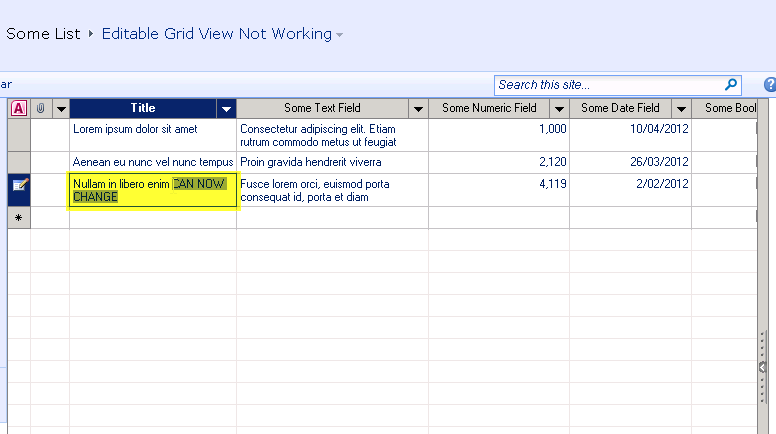 Go to the Datasheet View and Presto! You can now edit in the grid view with Content Approval on. 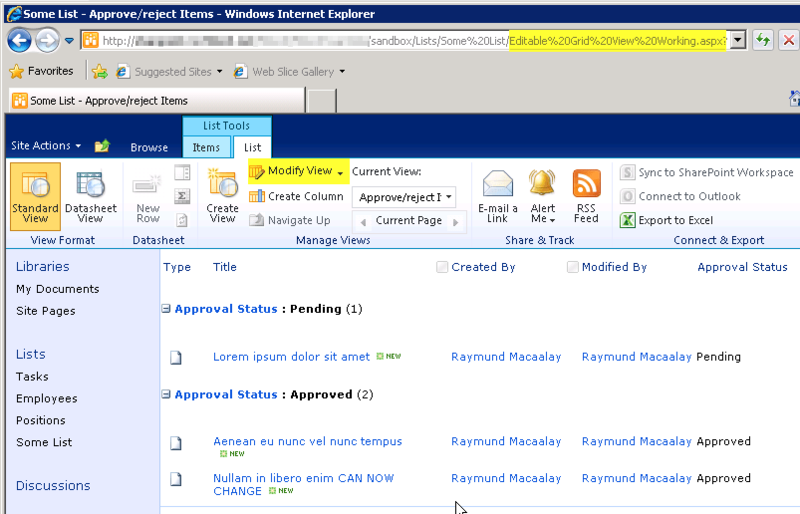 Now you might be wondering why don’t we just create it from Web UI using the “Start from an existing view” method. Well that would not work as I had tried that option as well. 1. 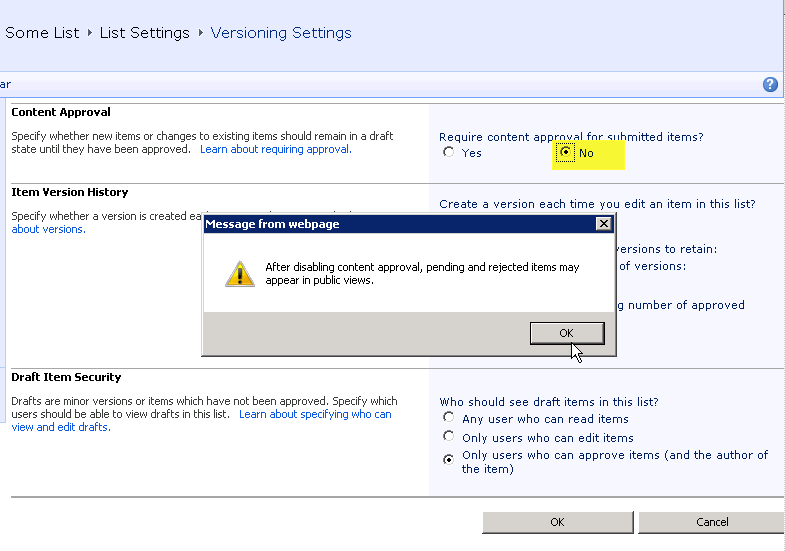 You need to give the user permission to approve and reject items so that they can edit it. I managed to figure this out on my own this morning. My problem is that I can’t change the view properties to show documents in folder/subfolder view. Any clues?